Nigeria has reacted to the Chibok girls release of the 21 girls.The minister of information Lai Mohammed, said they were not swapped for Boko Haram prisoners as being widely reported.The International Committee of the Red Cross and the Swiss government brokered the release of Chibok girls between the Islamist militant group and the Nigerian government, said Mallam Garba Shehu, spokesman for Nigerian President Muhammadu Buhari. He also said "Negotiations will continue,"
The first pictures of the relased Chibok girls are seen here. after a series of negotiations, Nigeria's government said, in the first mass release of any of the more than 200 girls and women kidnapped from their school two years ago. 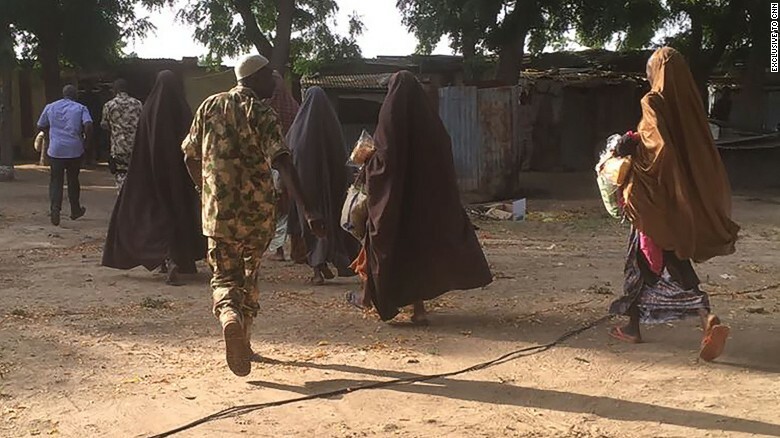 The 21 former captives were freed at about 3 a.m. in the northeastern Nigerian town of Banki, near the border with Cameroon, a source close to the negotiations said on condition of anonymity. 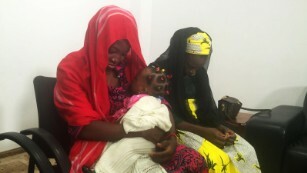 Also while Lai Mohammed was speaking at a news conference in Abuja, today,he said that the government had assembled a team of medical doctors, social workers and psychologists to examine the girls when they arrive in Abuja today. He said that the release of the girls was secured through “confidence building” with Boko Haram. Mohammed added that Pres. Buhari was ready to do all he could to bring the insurgency to an end.